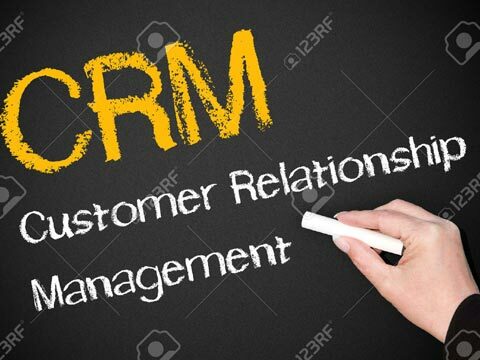 Customer Relationship Management (CRM) has changed throughout its transformation from being a mere framework to becoming a core business function. The need to know and profitably manage customers is as important as ever, but the challenges for doing CRM effectively has multiplied. While capturing new customers gives a high, keeping customers coming back will continually result in a greater RoI. To get started, it is important to identify the audience persona and communicate with them on their preferred channels. Companies should encourage customers to speak directly with them through that channel. Thus in today’s highly competitive world, every brand is very conscious and focussed on exploring all possible ways of interacting with their customers. The secret to remain a preferred brand, retain customer loyalty and win new customers, is to know one’s customers well! And this is not just face-to-face engagement but through multiple channels. Every company or organisation is willing to engage with their customers in a transparent, real time conversation, listening and responding in order to meet their needs. The concept of providing solutions to the customers as per their requirement is the key for the success of a CRM programme. While we see the trend of brands being present on multi-channels to provide a seamless and digital customer experience, the opportunities around new forms of payment such as mobile payments do appear to offer a win-win solution to brands and consumers alike. Especially, with the demonetization this has become even more popular now. Mobile payments coupled with loyalty programme apps, provide the opportunity to deliver value added benefits to customers through a differentiated and valued customer experience. Gone are the days of plastic cards, key tags and punch cards. Programs like frequent flyer clubs and shopping rewards etc. are going mobile. The mobile marketing and loyalty programs are helping customers interact with, and benefit from, the brands they trust using their handsets, wherever they are and whenever they want. Furthermore, rewards are increasingly taking digital forms. Digital content like music, video and in-app purchases are significantly gaining preference. It is no longer about loyalty points but overall experience. Customers today look forward to relevant, real time engagement and instant gratification. They look for choices that are relevant and specifically tailor made for them. Therefore there is a need to build a picture of the composite customer which is only possible with strong data capabilities. Data deepens loyalty in many ways as it helps to analyse customer so that interactions are improved by refining initiatives dynamically and in real-time. There is a high consideration of the data value exchange to identify how consumers can derive value from accessing their own data. Industry data suggests that on average, people spend over 490 minutes a day consuming some form of media. With digital media (including social) experiencing the fastest growth, there is a big shift in how brands are making use of channels and social media in particular. Brands are reviewing their organisational structures, processes and resources to support the trend of consumers resorting to social media to both complain about or commend about a company. Digital and social channels enable to gain deeper insights about ones customers and trends in their behaviours like never before. Retailers are making efforts to respond to opportunities that emerge from one moment to the next, to engage customers, recognising that experiences rather than objects, tend to resonate more deeply with people. While digitisation has its advantages, it also has its pitfalls. · Such a move as this gives very little opportunity for testing what works and what does not. Communication without a strategy does not result in what one set out to achieve, thus making the communication exercise ineffective. · Although there is a shift towards holistic customer experience,the tendency to look for the value proposition or tangible benefit has been prevalent: what does one earn? This is of course easy to executive as opposed to offering soft benefits and privileges. Hence the preference on points remains high. To make a CRM programme successful, decision-makers need to improve their CRM operations, mitigate risk in new CRM programs and secure organizational commitment, enhancing the brand value. The article has been pen down by Anurag Saxena, Country Head and GM, ICLP India, A Collinson Group Company.